Discussion in 'Guest Houses / Hotels / Serviced Apartments' started by Priyanka, Feb 21, 2014. 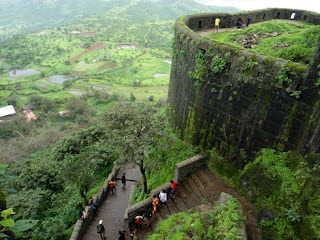 Sinhagad Fort Pune Attraction, Distance Map, Route, Timing, Picnicspot, Address, Contact. It is located 30 kilometres southwest of the city of Pune in India. It is one of the major attraction in Pune and thousands of people visit the Sinhagad Fort on daily basis. It is located 4300 feet above the sea level, on the Sahyadri Hills.